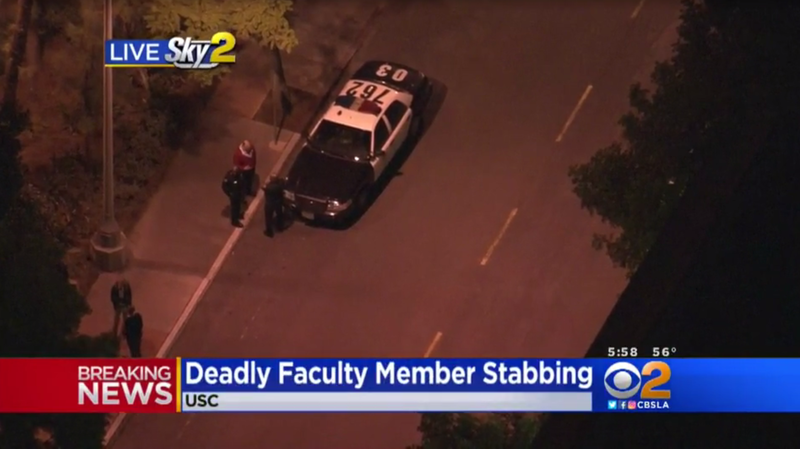 LOS ANGELES -- Los Angeles officials say a possible faculty member has been fatally stabbed at the University of Southern California. Los Angeles police Officer Drake Madison says the stabbing happened Friday afternoon and he says a suspect was taken into custody. The man was described as a faculty member, CBS Los Angeles reports. The building is in the heart of campus near the school’s running track.